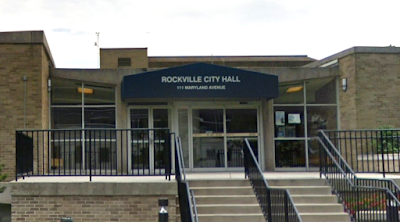 The Rockville Planning Commission will adjourn into a closed session at its 7:00 PM meeting May 23, 2018 at City Hall, to "consult with counsel to obtain legal advice regarding a pending Site Plan application." At 7:30, commissioners will then reconvene in open session for the rest of the evening's agenda, which will include a discussion of planning area boundaries for the Updated Comprehensive Master Plan. The applicant with the "pending Site Plan" is not identified. It is probably the B. F. Saul Company project on Rockville Pike where the Fuddruckers Restaurant is located. What's the point of telling me about a meeting that I can't attend?